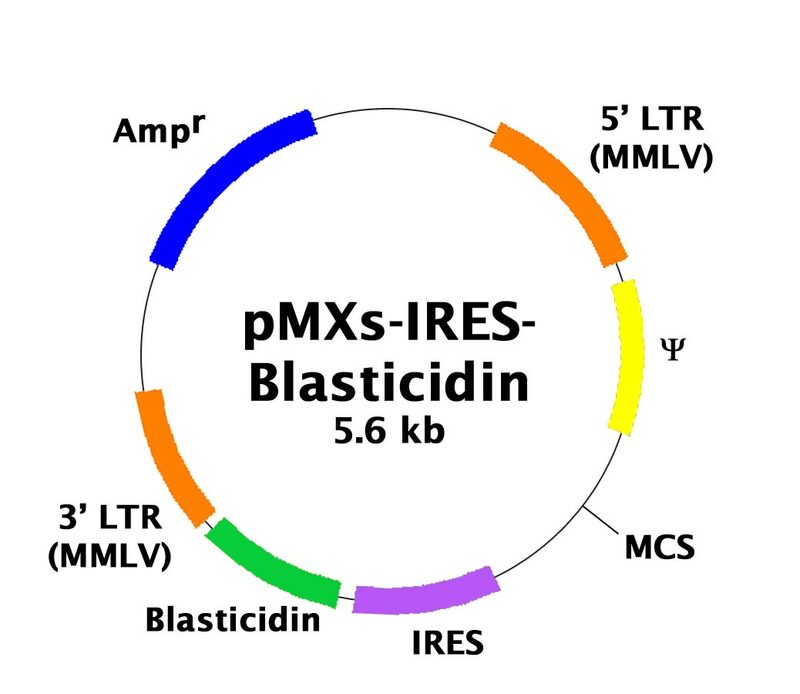 pMXs-IRES-Bsd Retroviral Expression Vector | Cell Biolabs, Inc.
Law, M. E. et al. (2016). CUB domain-containing protein 1 and the epidermal growth factor receptor cooperate to induce cell detachment. Breast Cancer Res. 18:80. Saito, A. et al. (2016). Roles of capsid-interacting host factors in multimodal inhibition of HIV-1 by PF74. Jf Virol. doi:10.1128/JVI.03116-15. Peking, P. et al. (2016). A gene gun-mediated nonviral RNA trans-splicing strategy for Col7a1 repair. Mol Ther Nucleic Acids. doi:10.1038/mtna.2016.3. Sotillo, E. et al. (2015). Convergence of acquired mutations and alternative splicing of CD19 enables resistance to CART-19 immunotherapy. Cancer Discov. 5:1282-1295. Greil, C. et al. (2015). The role of APC/CCdh1 in replication stress and origin of genomic instability. Oncogene. doi:10.1038/onc.2015.367. Choi, Y. A. et al. (2014). Bobby Sox homology regulates odontoblast differentiation of human dental pulp stem cells/progenitors. Cell Commun Signal. 12:35. Sugatani, T. et al. (2011). A microRNA Expression Signature of Osteoclastogenesis. Blood 117:3648-3657 (#RTV-016). Papatheodorou, P. et al. (2011). Lipolysis-stimulated Lipoprotein Receptor (LSR) is the Host Receptor for the Binary Toxin Clostridium Difficile Transferase (CDT). PNAS 108: 16422-16427 (#RTV-016).